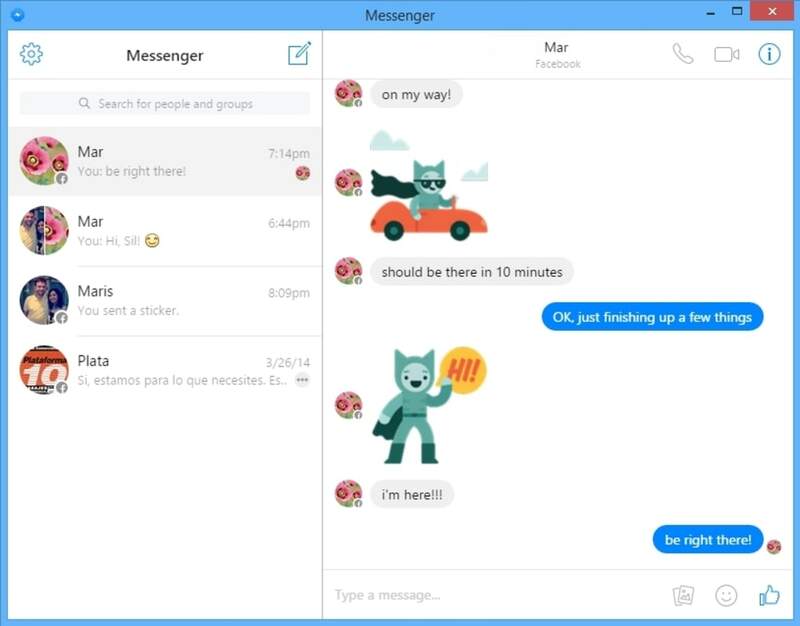 While Facebook Messenger may be a breeze to access on your phone or your browser through the official apps, using it as a desktop client has always been a bit tricky. Messenger for Desktop is a social & communication messaging tool that aims to solve this problem (although this app is unofficial and not associated with Facebook in any way). This program is also available for Mac. 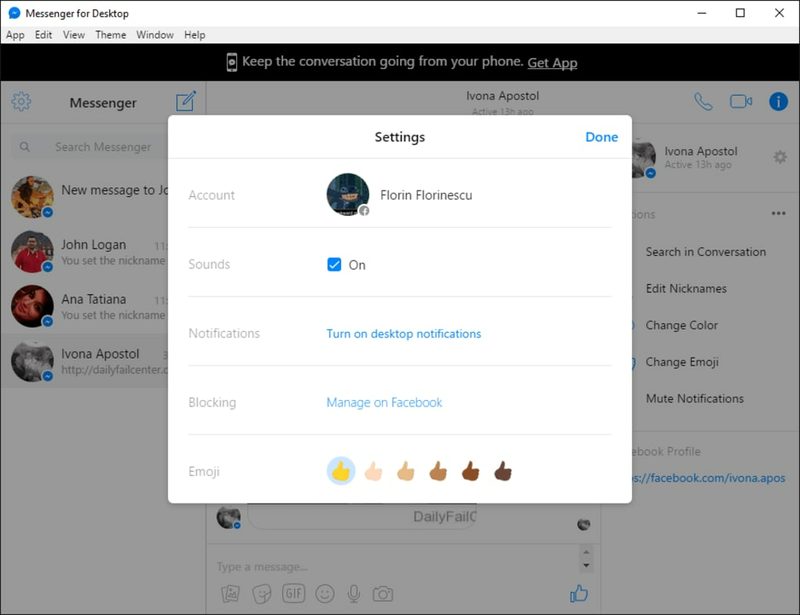 Messenger for Desktop is an unofficial client that allows you to use Facebook’s messaging service on your PC without having to be connected to the social network (although you have to log in via the client, of course). 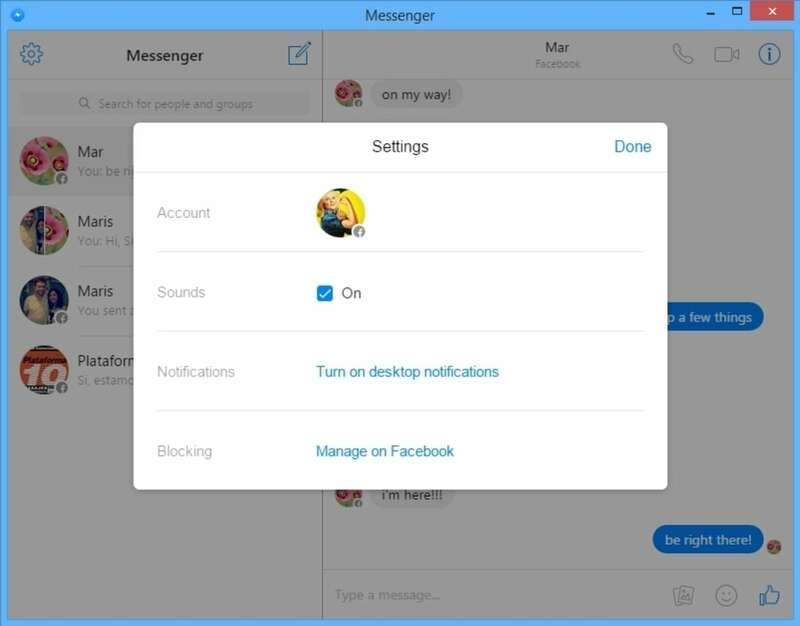 If you regularly use the chat option on the Facebook website, you’ll have no trouble using Messenger for Desktop. Most of the options are in exactly the same place with the same icons, while all the others are easy to identify. 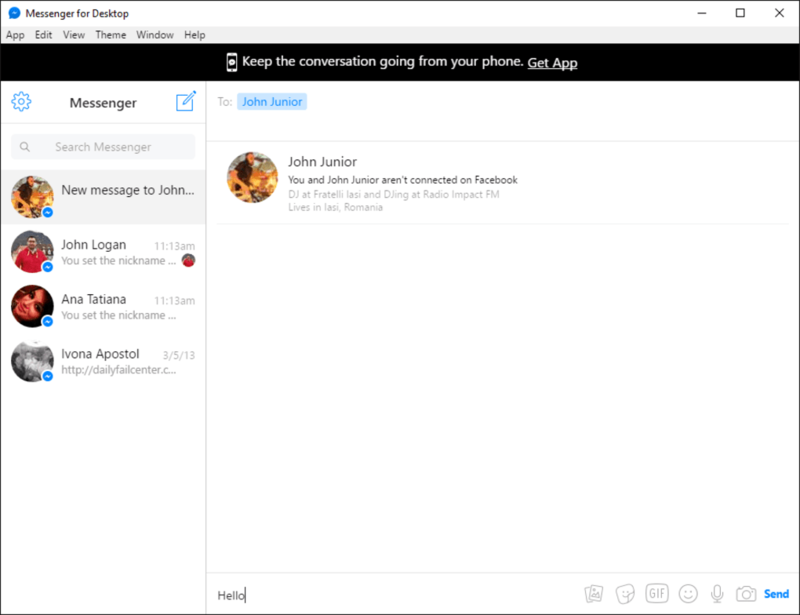 One of the problems with using Facebook’s chat option on the web is that it appears in a small window. You can only extend it by clicking on one of your conversations, but this is a bit clunky and can lead you to unintentionally close a tab on your browser. 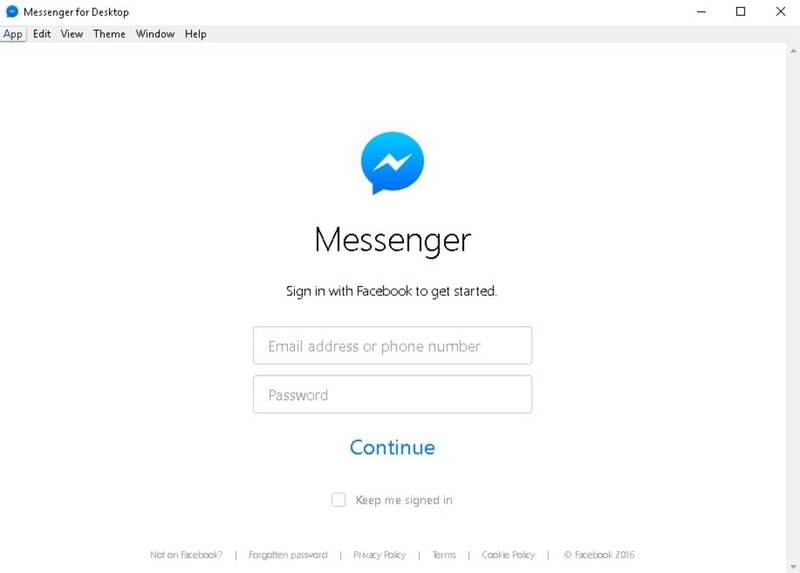 When you open and login to Messenger for Desktop, it imports all the options from your Facebook profile so you can start chatting immediately. The only option you might need to configure is whether to turn message notifications on or off. 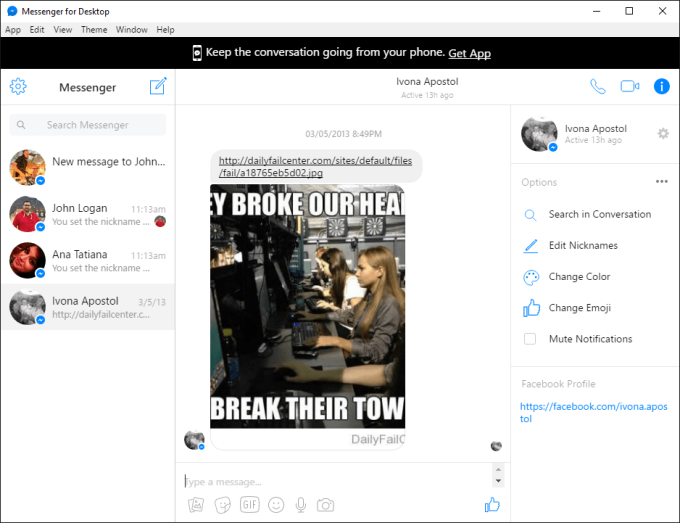 If you regularly user the chat option in the Facebook website, then Messenger for Desktop will be right up your street. 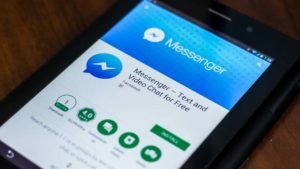 It’s easy to use, doesn’t hog computer memory, and allows you to chat more discreetly without opening Facebook (like the separate official Messenger apps do). 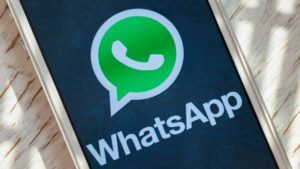 In case you are looking for other free, alternative messaging apps, we recommend you to download Telegram or WhatsApp. good and easy to use for communication for people around the world. 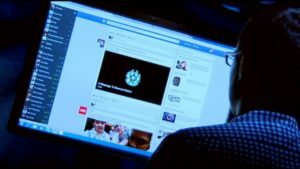 BEWARE BEFORE YOU INSTALL THIS SOFTWARE, IT WILL INJECT PREMIER OPINION SPYWARE!!! easy for me. no need for me to open goggle and open my fb anymore.